Dono&Dono Airflow Pillow and Pillowcase for Toddlers, MicroModal Moisture Wicking. The Dono&Dono Air Pillow is designed to create a comfortable sleeping experience for your toddler, making it an excellent first bedtime pillow. Our down-alternative pillow features a cushioned microfiber core and mesh exterior layer, allowing for optimal airflow and temperature control. Bonus, the microfiber filling is highly resilient and prevents the growth of bacteria making the Air Pillow a healthier choice for your child. With a zipper closure, adjust pillow density and height by removing or adding filler. Simply unzip, adjust, and sleep easy. Includes a custom pillowcase made of premium MicroModal® fabric by Lenzing, the world’s leading manufacturer of eco friendly fibers made from highly sustainable beechwood trees. All products that bear the Lenzing name are required to maintain ASTM quality standards for pilling and are rigorously tested. MicroModal® is highly absorbent, breathable, and 50% more moisture wicking than cotton, meaning it will pull more sweat from your child's body and helps to prevent overheating. Dono&Dono's adorable unisex designs coordinate with both boy or girl modern bedroom decor. BREATHABLE 3D AIR MESH PILLOW - Breathable mesh pillow allows for increased airflow and temperature control, helping your child sleep comfortably in any season. Compact size (18" x 11") makes it ideal for travel or overnight trips to Grandma's house. 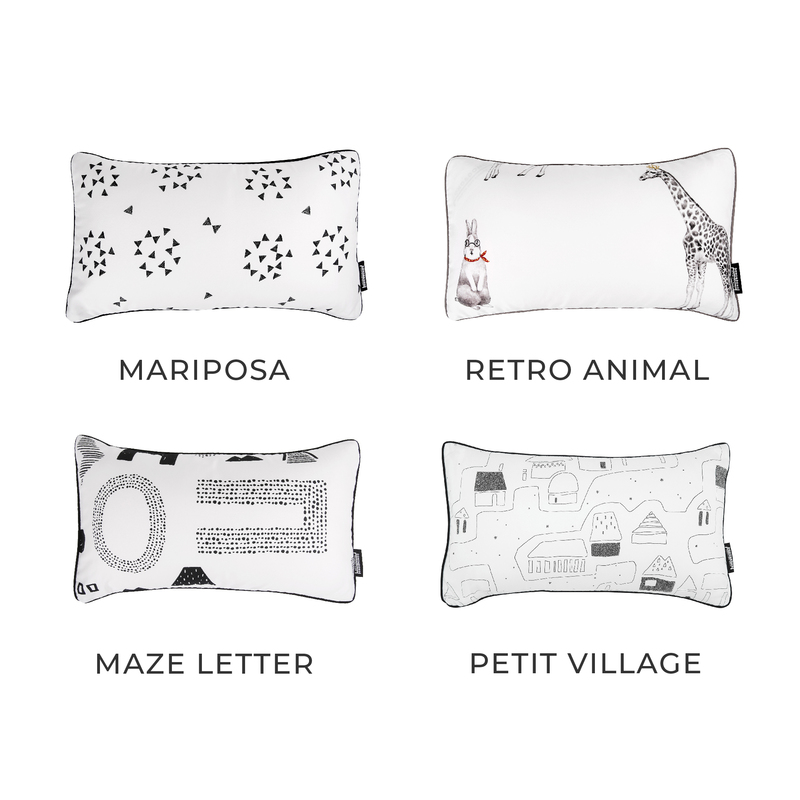 ADJUSTABLE PILLOW FILLING - The pillow features a zippered closure, allowing you to add or remove the inner core filling to adjust to your child's needs. The highly resilient microfiber filling is hypoallergenic, asthma friendly, and prevents the growth of bacteria. HELP EASES THE TRANSITION FROM CRIB TO BED - The transition from crib to bed can be a difficult milestone for kids and parents, make the switch easier and fun with our adorable and modern prints and designs. Our pillow is sized just right for toddler beds. MICROMODAL® PILLOWCASE - MicroModal® is an ultra soft eco-friendly material made from highly sustainable beechwood trees. It is 50% more absorbent than cotton, breathable, and cool to the touch, making it great for any season. DESIGNED JUST FOR TODDLERS - Our modern and unique fabric patterns are gender neutral, so your toddler will love the look and feel of their pillow and its easy to tote size. Pillowcase: machine wash cold, gentle cycle. Line dry. Insert: machine wash cold, gentle cycle. Air dry. Click the button below to add the Dono&Dono Airflow Pillow and Pillowcase for Toddlers (Various Patterns) to your wish list.